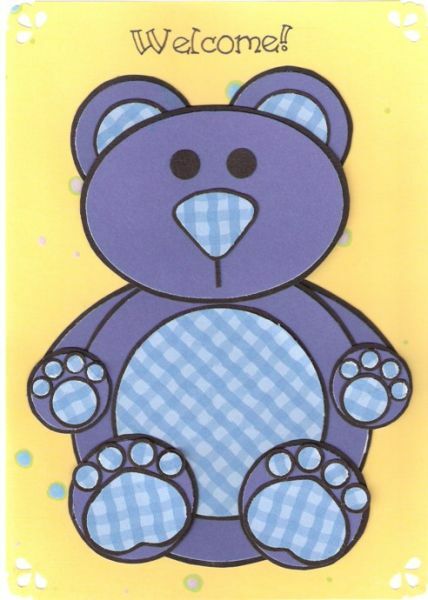 This little blue bear is perfect for welcoming the arrival of a new baby boy. He is made from circles, hearts and ovals. Very fun!